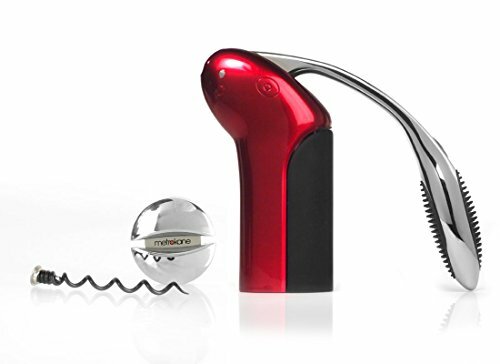 The Rabbit Original Vertical Lever Corkscrew is an equally stylish and durable addition to any home bar. Constructed with polished stainless steel, this versatile lever corkscrew uncorks any size wine bottle in 3 seconds flat with a single, effortless pull. For added convenience, this wine opener immediately releases the cork after opening, eliminating the hassle of manual twisting. The corkscrew's ergonomic handle adds comfort and control, while its sleek standing design looks great on any home bar or countertop. A foil cutter and extra spiral are included as well as a 10-year Rabbit warranty.